Floral accents are always a classic trend seen every spring season and this year was no exception. From designers such as Michael Kors, with his flower accessories, to Oscar de la Renta, with his floral prints, flowers are definitely a fun way to welcome spring, not only within the wardrobe but also in the home. The easiest way to incorporate this trend around the house is with a couple of fresh flowers and some simple antique pieces. Take a walk to the local market for a small bouquet of flowers. Instead of arranging them in a typical glass vase, place them in a classic white ironstone milk/creamer pitcher or in a worn sterling silver water pitcher. Check your cupboards before going out to buy either of these antique items. 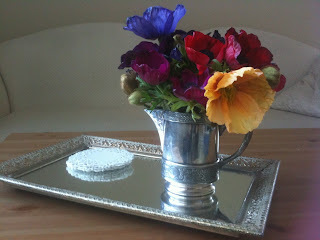 Any unused juice carafe or vacant canning jar can bring the same beautiful touch. Also, don't underestimate the power of a sole blossom. 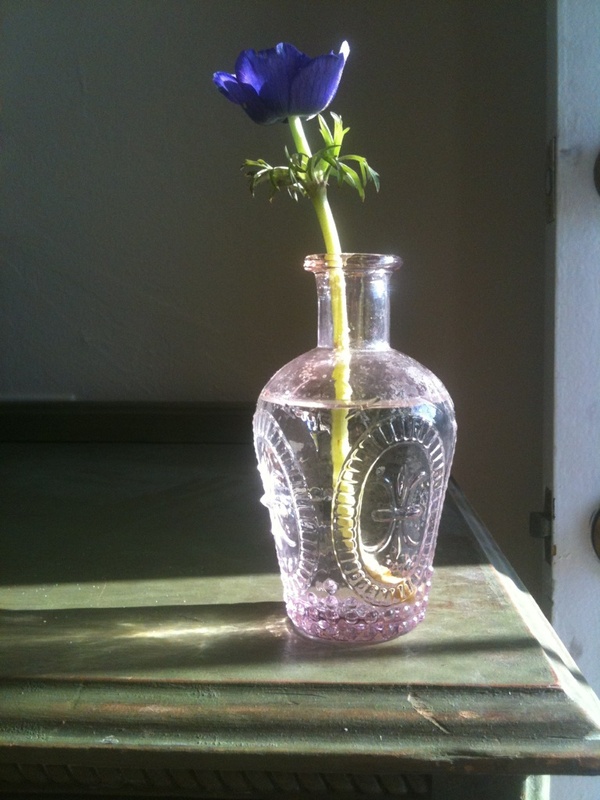 Place a single stem flower in an old colored-glass medicine bottle or a small stem bud in a vintage depression glass egg cup. Any empty glass bottle will do the trick and some fun alternatives can be found at the supermarket. Buy an elegant bottle of wine or even purchase a Perrier or Pellegrino water in its classic glass packaging to use as a unique vase when empty. Want to test your green thumb? Plant your own personal flower garden. Visit your neighborhood nursery and pick up some ready-to-plant flowers, along with a small package of pre-mixed soil. Transplant the flowers into a old-fashioned soda pop crate and watch them bloom. 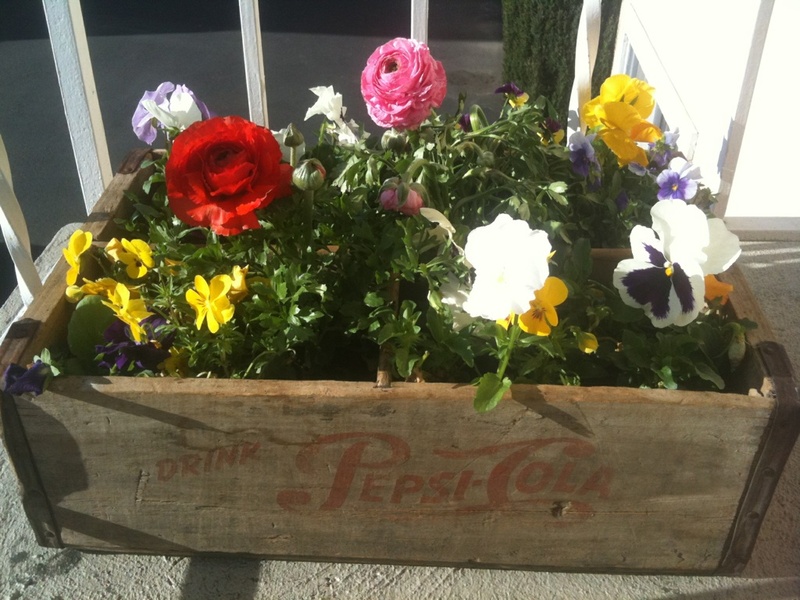 Even a small forgotten aged wood tool carrier or an abandoned old wood box will make a perfect home for some blossoming buds.